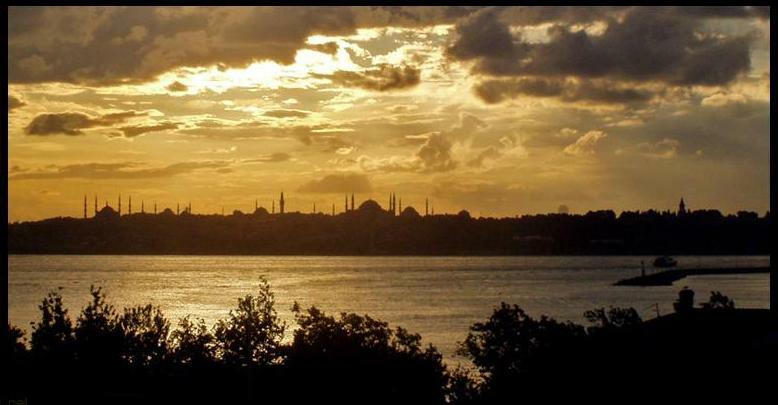 I looked at you from another hill, dear Istanbul! Just to love a district of yours is worth a whole life. There are many flourishing cities in the world. But you´re the only one who creates enchanting beauty. Is he who spent his life in you, died in you, and was buried in you. Note : This is a wonderful poem of Yahya Kemal. Thanks for reminding us this poem Mr.Thunder. Yahya Kemal was a great master of our contemporary poetry, with classical simplicity and might in his poems, which were written with a strong cultural and linguistic consciousness, with his efforts and success in synthesizing the national and the modern, the individual and the social, the historical and the contemporary in the core and form of his art. Yahya Kemal´s statue in the Yıldız Park of Istanbul. He looks over the city from a hilltop as he mentions in his poem. Your welcome , Tunci Thank You for the translation you added. The aching pleasures of memory prevail. No one comes or watches from balconies. Is toying with the October leaves. Silence makes a sure advance. The neck-hairs bristle, the mind’s a blur. Its footsteps are now too familiar. The world recedes, the vision dims. A dream begins within a dream.